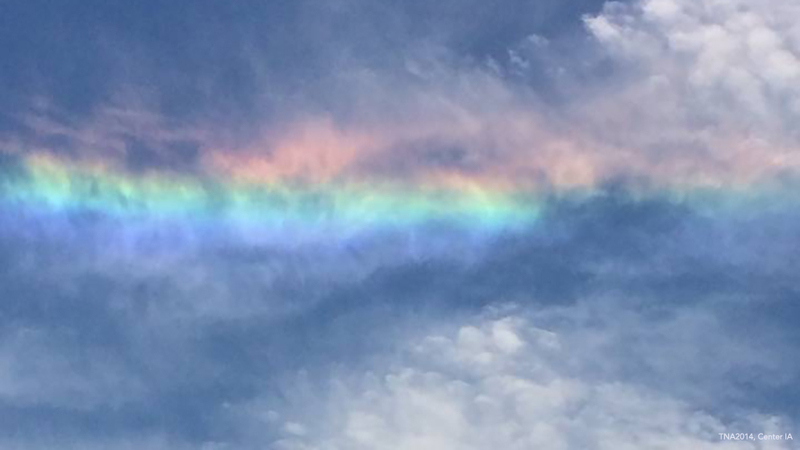 These beautiful ‘rainbow in the cloud’ sights are uncommon, but luckily there are so many of you submitting amazing photos to the site that we get to see weather phenomena we never dreamed of seeing! Enjoy the whimsical and colorful sights of the rainbow clouds below. Without all of your weather photos, we would never have been able to see incredible sights like this. Thank you! Always remember to submit your best photos to the Community Gallery and give suggestions for the next Top 10! I love rainbows. In fact, at my memorial service when I pass one of my chosen songs will be “Somewhere Over the Rainbow”. I am in awe at these amazing photos. Wow. Thank you all. Last week that night for the first time . I looked at the sky as my parents were driving while sun was setting there was something strange up in the sky for minute it look like a balloon but it was Mushroom cloud . I saw in New Milford NJ .